The Sepia Stains Tarot | The Attic Shoppe Trading Co. 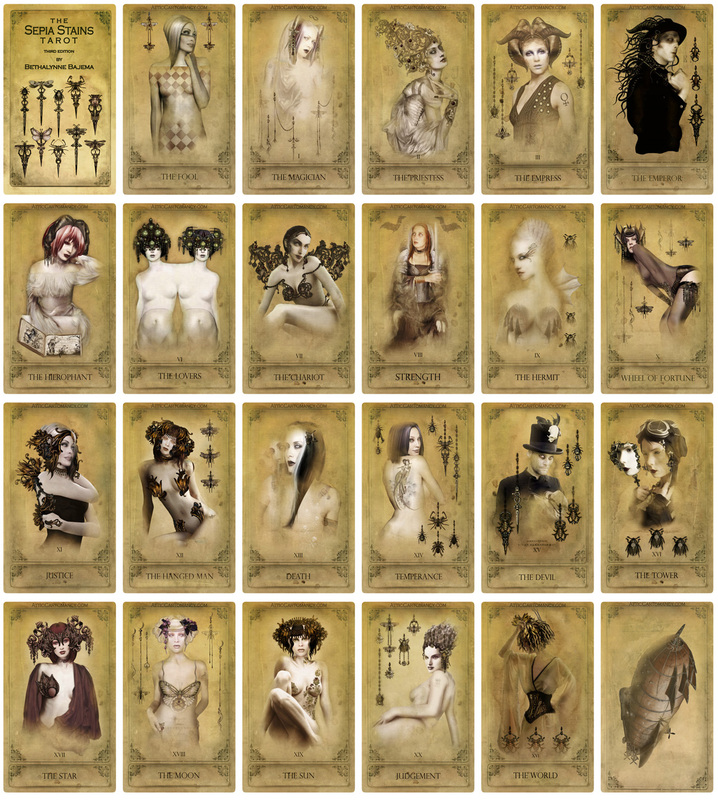 The Sepia Stains Tarot is our first tarot deck and was created as a companion item to the graphic novel The Black Ibis. This is a beautiful deck that has been printed in limited numbers with each edition. You can read more about the background of this deck and see previous editions at our card blog Attic Cartomancy. When available you can find style/ordering options here.